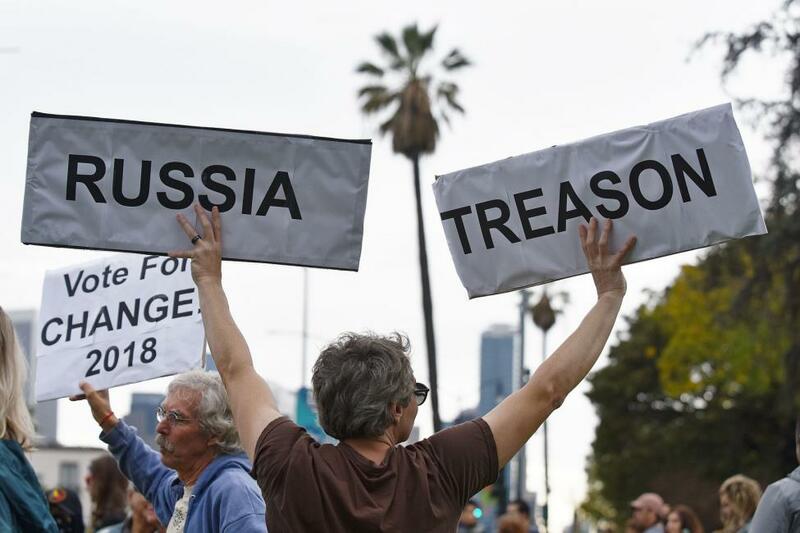 The Justice Department on Friday charged a Russian national for allegedly interfering in the 2018 midterm election through a conspiracy to "sow discord" within the U.S. political system. Elena Alekseevna Khusyaynova, 44, of St. Petersburg, Russia, served as the chief accountant of "Project Lakhta," an operation that attempted to "interfere in our democracy by creating social and political division, spreading distrust in our political system, and advocating for the support or defeat of particular political candidates," FBI Director Christopher Wray said. The operation was funded by Russian oligarch Yevgeniy Viktorovich Prigozhin and two companies he controls -- Concord Management and Consulting LLC, and Concord Catering -- court documents indicated. It also had links to the Internet Research Agency, a troll farm in which Russian nationals posed as Americans and operated social media pages and groups designed to attract American audiences. The Justice Department said Khusyaynova handled expenses for activists, advertisements on social media, registration of domain names, purchasing proxy servers and promoting posts on social media. Project Lakhta's proposed operating budget between January 2016 and June 2018 was more than $35 million, some of which allegedly went toward efforts to interfere in the U.S. political system. "The strategic goal of this alleged conspiracy, which continues to this day, is to sow discord in the U.S. political system and to undermine faith in our democratic institutions," said U.S. Attorney Zachary Terwilliger. Those involved in "Project Lakhta" allegedly used social media to post sometimes opposing ideologies on a variety of topics like immigration, gun control, the Confederate flag, race relations, LGBTQ issues, the Women's March and the NFL national anthem debate. "The actors also developed playbooks and strategic messaging documents that offered guidance on how to target particular social groups, including the timing of messages, the types of news outlets to use, and how to frame divisive messages," the Department of Justice said. The complaint came on the same day the office of the Director of National Intelligence warned of "ongoing campaigns by Russia, China and other foreign actors" to undermine the United States' democratic institutions, including voting. A statement said the agency didn't have "any evidence of a compromise or disruption of infrastructure that would enable adversaries to prevent voting, change vote counts or disrupt our ability to tally votes in the midterm elections."